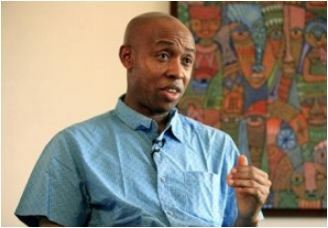 Chidi Odinkalu is particularly pained that the current president, Muhammadu Buhari, who during his days in the military, overthrew a democratically elected government headed by Alhaji Shehu Shagari, and years after, became one of the greatest beneficiaries of democracy, was yet to realize his new disposition as ‘President’ instead of ‘Head of State’ where he had ruled with maximum decrees. He blamed the people whom he described as “a generation of people that forgets history” for Buhari’s ascendancy to the highest political office in the land despite his earlier anti democratic disposition. Odinkalu also touched on the conferment of the Grand Commander of the Order of Niger, GCON, on Chief MKO Abiola, the acclaimed winner of 1993 presidential election,by President Muhammadu Buhari. Even as he conceded that Buhari’s action was good given all that Abiola put in to see democracy have root in the country and the resultant circumstances that led to his death, he, however, said the president deserves no applause because, according to him, the military which he was part of owes the country an unreserved apology for its unwarranted action in annulling the freest and most transparent election in Nigeria’s political history. Who owns this land? In our country, the people who have benefited most from democracy have decided that we will no longer be part of our land.” He recalled with pain that:”In 1983,precisely on December 31,”the Army overthrew a democratically elected government. The person who emerged was a Major General, his name was Major General Muhammadu Buhari. He set up military tribunals and sent Nigerians to jail for crimes he imagined that they committed and for crimes he imagined that they would commit in future. Many of those Nigerians did not return. Some of them died in prisons, many of them were broken in prisons and lives were rendered useless as they died after living prisons. The journey to June 12,as Odinkalu summarized:”In 1985,another general took over power, having overthrown Buhari and Buhari was detained in Benin. He became a beneficiary of the kind of detention facility that he meted out to other Nigerians. “General Babangida started a transition without ending,for over eight years. All the political parties were banned, leaving just two and in the end, only two Nigerians were left to run for office. Both of them were friends of the Army-MKO Abiola and Bashir Tofa. Both of them were Nigerians, both of them were Muslims but Nigerians decided that there was nothing wrong with that. We were so united that religion did not matter. But see where we are today, we are all divided by location, by tribe, by religion, by APC, by PDP. “We went to the poll by June 12, 1993 and what happened? A Muslim from the South West whose running mate was a Muslim from the North East defeated a Muslim from Kano, in Kano. Now, what was the story? The military assumed that Bashir Tofa was going to win. Many of you have not heard this story, yes, the military assumed that Bashir Tofa was going to win.The Intelligence they had was that Tofa was going to win. They had also decided that if Tofa won, they were not going to give him the Presidency. Why? Because Tofa was not a member of the National Republican Convention, NRC, which he had contested for the office of President. His registration number in the NRC under which he ran was owned by a woman. And the Army knew this! This was the story of the annulment. Tofa had registered as a woman and the military knew this. If you read Dan Agbese’s book on the annulment, you will know this. Babangida himself told this story. “Nigerians decided that Abiola would be the winner and the military decided to go through with their plan not to hand over. And they nullified the most democratic election in our history. They did not just cancel the election, they decided to kill the winner too and in 1998, they killed ‘President Abiola’.” While noting that Abiola deserves the conferment of GCON as done by the Buhari administration, he was not happy that many people, dead and living, were not recognized along side. Hear him:”It is a good thing that we right historical wrongs. I am not going to sit down here and say the award of the Grand Commander of the Order of the Niger, GCON to ‘President Abiola’ is wrong, no. It is right. I’m also not going to sit down here and thank anybody for doing it. Nigerians voted and so the military owes us an apology as an institution for violating our will. “ President Buhari is a soldier who has committed treason before. We forgave him and gave him the chance in 2015 to do right. If he’s trying to do the right thing, it is not my business to say ‘thank you’ to him. He is doing his job. When I do my job,nobody tells me thank you. So, I’m not going to go and start congratulating him. “President Abiola would have served his term from 1993 to 1997. If he got another term, by 2001,he would have gone but the military destroyed it. So it is right that he gets honoured even in death. “Gani Fawehinmi paid a huge price for why we are here today. It is right that he’s properly honoured. But we also must not be a country that only remembers her people after we have deliberately killed them. Gani Fawehinmi died of lung cancer but Gani never smoked a day in his life. And until the day he died, Gani believed that the reason he died of lung cancer was toxicity that he inhaled while soldiers were imprisoning him from Kirikiri to Gashua for no crime against the country. “Today, we are honouring three heroes but it’s not enough. Kudirat Abiola was killed by the military, Chima Ubani died defending our country, Beko Ransome Kuti died standing up for what is right for our country. Bagauda Kalto was killed by soldiers who called him a terrorist. But it’s not just about the dead people, we have people who are alive too-Ayo Obe, Olisa Agbakoba, Innocent Chukwuma ;Femi Falana ;and the rest of others.” He spoke on alleged intolerance of the Buhari administration to the opposition views:”Everyone has the right in a democracy to voice their opinion. But unfortunately, what we now have in Nigeria is a civil space that is no longer tolerant. President Buhari and his security chiefs, whether through commissions or omissions, have become part of the process. Citizens are being criminalized for having point of views that government does not like. “Every occupant of Aso Rock is a tenant and the maximum period of tenancy in Aso Rock is eight years. You cannot abuse Nigerians and tell them they shouldn’t cry. We will continue to cry if we have to because this is our country too and we are not giving it to anybody. This country is our country too and we will not give it up to anybody. We will continue to fight for our country.” According to Odinkalu,people must stop blaming those around the president whenever things go wrong in the country, saying the president was the architect of all the happenings.